Game Impress Watch: For the 4K HDR patch for existing titles, will it cost money? Or will it be free? Ito: It will be different for each title. I believe it will depend on the thinking of each licensee. Note: Here, Ito is referring to third-party publishers. Ito: I think it will vary for each one of our titles. Game Impress Watch: What you're saying is that there will be titles that have a fee [for the patch] and [patches for the] titles that are free. Ito: That is correct. 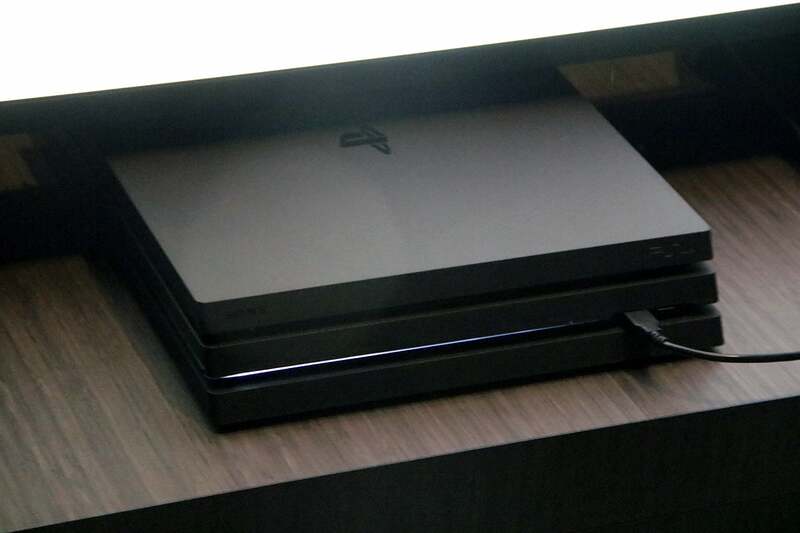 Game Watch Impress: From here on out, we can think that all the titles from SIE will completely support PS4 Pro? Ito: Right. The first party titles we put out are going to certainly support both [4K and HDR]. We'll have to see how this develops. But... hardly anyone even own a 4K tv? And do you think anybody ever will if we don't put out 4k or HDR content just because hardly anyone has one? That's an oxymoron. If you don't flood the market with 4k content, why would you bother? Its good. They need to start pumping out 4k. I run a JVC Projector and 4k Bluray and Netflix look pretty damn fine on it if I don't say so myself. Bring it on. I'm a filmmaker and I shot my last short on 4k. I had to export it in 1080p because none of the festivals accept 4k. Honestly? I think 1080p is still pretty nice. I mean I remember using tapes. The first time I saw a dvd play I couldn't believe it! 2k is good for gaming. 4k... Sure it's nice but I'd rather 60fps v-syncd than 4k at a variable frame rate. You'd be suprised. 4k T.Vs are the norm now for most T.Vs arlund the $2000 mark. In 6 months they will be even more common. I'd dispute that they're 'the norm' now, they're still not common place in the standard home and most people honestly when asked if they're going to upgrade still don't see the reason to, it's not the same to most people as SD to HD was. The average home still relies on a 1920x1080 television. 4k tv will eventually become standard, in a few years, but it's not yet 'the norm'. He said the norm for TVs around the $2k mark, which is not most TVs. It wasn't that long ago that 1080p TVs were at that price, and all the cheaper sets were 720p. Whether you think 4K is necessary or not, it is certainly something that differentiates a set from 1080p sets at similar price points. As the panels get cheaper, expect to see more of them. Now I guess it is possible that people will decide that 4K isn't worth the money, but I think there is less chance of that happening than there was for 3DTV, since 3D introduced hassles that didn't exist for the older tech: where did I leave my shutter glasses? did I remember to charge them up again?, etc. I never, ever said that, infact I'm quite the tech progressive myself. Don't assume please. But the major difference between 4k and 1080p at the moment is the the transmission, we were given a cutoff date that people *had* to upgrade their televisions by, this was a big dramatic factor in peoples upgrading. This will, one day, eventually happen of course, but there's no driving incentive right now for the general populace to upgrade. Again, it will happen but not at the accelerated rate it happened before. 3dtv is completely different as it was a fad, an arbitray aspect that added nothing to the experience, 4k of course does, we know it does, but the fact of the matter again, is the incentive for people to do so. It's just not there *yet*. In time it will be, of course, but it's not there yet, not for the average consumer anyhow. Yes... but it wont be HDR, or it will be compatible with some upscaleing work. HDR (at least the ones supported by the One S) required a 10 bit panel. So the actual HDR support is coming in the next firmware update and is free to consumers, but it's up to the publishers / developers if they want to patch HDR into their games for free or charge a fee for it? Doesn't seem unfair but I hope Sony are smart enough to patch it into their games for free as a matter of course. Uncharted 4 with HDR should look even more stunning than it already does. So you buy the last of us for ps3, then buy it again for ps4 remaster. Now again for 4k version. "Sony has since confirmed that is not the case; all patches that add 4K HDR support will be free." I really don't understand the push for 4K gaming when it comes to consoles, majority of people I know don't own a 4K TV or even know the difference, I can see the appeal in a year or so but right now I think it is an unnecessary push for gaming on consoles. When the consoles are being released now, in a year or so they'll be what is on the market and if they don't have 4K then that's it. Technology is about pushing hardware limits now so that software can catch up later. What frustrates me is the idea of consoles being permanently behind in terms of frame rate performance. I played Witcher 3 on PS4 when it came out and loved it but was wishing the frame rates were better (they did do a decent job in fixing this up... after I'd finished the game). Now I see Horizon Zero Dawn running in "4K mode" on a Digital Foundry video and it's frequently dropping under 30FPS, and even down to 25FPS. It's happening again! I never wanted higher resolution!! I just wanted better frame rate performance!! Damn you, Sony!! Why can't you listen to me and only me. Play on less than 4K and get better frame rate? Is that how it's going to be for all titles? I've heard that Rise of the Tomb Raider will have different performance modes, but haven't heard about any other titles. If having different options is going to be standard then it will be great indeed. Well just naturally if your screen has a lower resolution than 4K it won't put as much strain on the system and you'll get better FPS. Only comes down to them allowing different resolutions depending on your TV...which they already do. As for lower resolution on a 4K TV...probably. Keep in mind that performance analysis is based on unfinished code. Guerrilla are normally very good at optimisation, and I'd be surprised if it isn't a locked 30fps by the time it goes gold. It may not be all that popular, but I for one am glad to see this. I already own a 4K TV. I plan on upgrading it next year. This year's models seem reasonably priced, but I'm expecting prices to go down. For a change, the content will be ready when the TVs hit mainstream. Tldr: A company rep is asked a question about something he has no direct control of, and says he has no direct control of it. And the gaming "community" freaks out. I won't be buying into the whole 4K movement until it becomes the standard and begins being priced as 1080p is today. No matter how long that takes, 1080p for both my consoles & PC is fine for me. So now Sony is saying that they won't charge for 4K support in their own titles, and one developer has reported that Sony told them that they couldn't charge for PS4Pro support title updates too. I guess either Ito was mistaken, or they've backflipped.